OPINION: What Royal Enfield Could Have Done To Avoid The Backlash From Classic 500 Pegasus Owners? Was launching the Classic 350 Signals Edition this early a hasty move by Royal Enfield? Of the 250 owners of the Classic 500 Pegasus in India, many have claimed to have been misled by Royal Enfield. A majority of this backlash comes from the launch of the similar-looking Royal Enfield Classic 350 Signals Edition, which also gets ABS. We even came across some pictures on the Internet in which a miffed Pegasus owner has reportedly thrown his bike in the garbage dump. 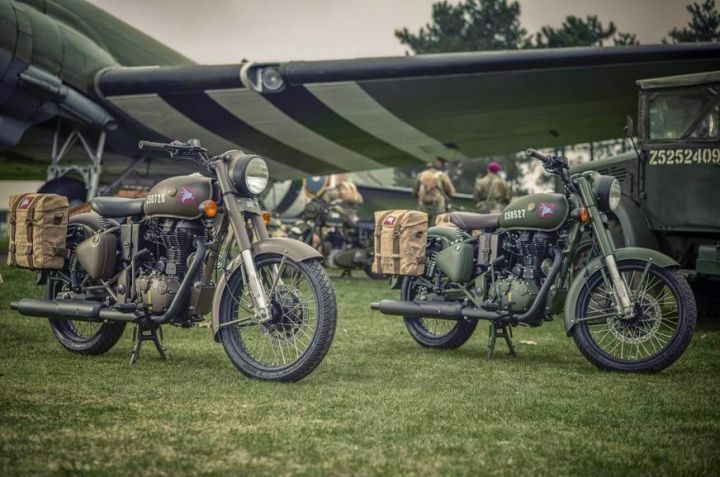 It is likely that Royal Enfield launched the Signals Edition to cater to those who missed out on a chance of owning the limited edition Pegasus by offering something that looks similar. But launching the Signals Edition closer to the deadline of the ABS mandate would have been more sensible, taking the sentiments of Pegasus owners into consideration. Which brings us to our next point. If we are to go with the thought process that RE did make a move to launch the Signals during the Pegasus delivery season, to keep a larger audience smiling, then the stenciled numbers unique to every bike should have been avoided. It really makes no sense to launch a mass production motorcycle with stenciled number for exclusivity. And the problem with the stencilled number on the Signals’ tanks is that it robs the Pegasus of a large part of its individuality. We believe that the Signals would’ve looks almost as good without the stencilled serial numbers, without interfering with the Pegasus’. We are all aware of the fact that ABS-equipped Royal Enfields have been sold in international markets for quite some time. Which means launching an ABS-equipped model in India was never going to be too difficult, considering that the company had already developed the technology for their products. But introducing expensive technologies such as ABS always poses a challenge for companies in India, given just how price-sensitive the Indian market is. However, with the April 2019 mandate right on the horizon, RE launching their ABS-equipped bikes in India was inevitable, and expected around this time, if we’re being honest. Nevertheless, if the company did intend to launch the Pegasus as a limited edition model, equipping it with ABS would have made it a lot more special. Post which, the Classic 350 Signals Edition could have been launched, but without the stenciled numbers. So while we do realize that the Royal Enfield Classic 500 Pegasus holds a special place for the brand and for the history it represents. It would have been equally special and valuable for its 250 limited owners in India if these concerns were taken into consideration. Share your experiences with Classic 500? Is This The New Royal Enfield Classic 650?